Success in online advertising starts with being onboard with its vocabulary. The clear advantage that online advertising has over offline is measurement. Learning how and what to measure is key to utilizing this asset. Problem is, this analytical environment is always changing. Not too long ago, a click was a click. AdWords still calls a click a click, but Google Analytics changed a click to a session. Knowing the difference is important—especially within a PPC web advertising campaign. 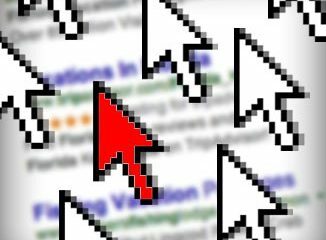 Click measurements indicate how many times your ads were clicked by users, while sessions indicate the number of unique sessions initiated by your users. Here’s Google’s example: A user may click your ad multiple times. When one person clicks on one advertisement multiple times in the same session, AdWords records multiple clicks while Analytics recognizes the separate page views as one session. Bottom line: You’ll have more clicks than sessions.